Or send your details via the form below. The OEM Group provide high quality pressure cleaner service and repairs. Even more, we only use genuine parts for all pressure cleaner maintenance. 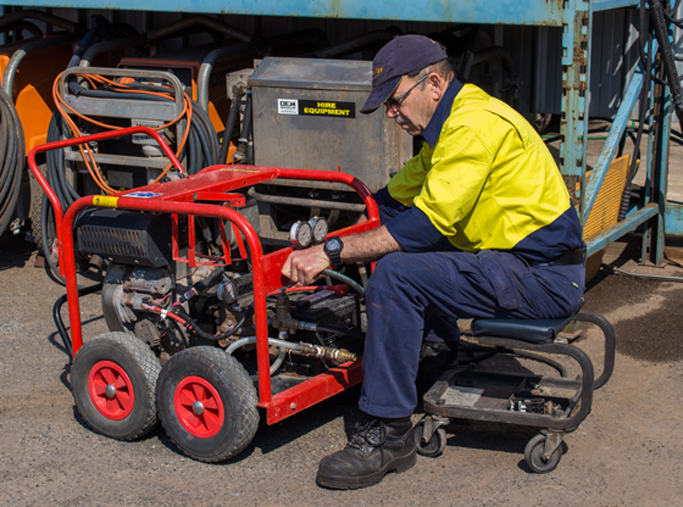 We service every brand of pressure cleaner, not just Spitwater, plus all types of industrial vacuums and heaters in our workshop. Or if you prefer, we can send a service technician to your workplace. Remember, no matter the type of pressure cleaner you use, the OEM Group will keep you running smoothly. Please confirm your service requirements in the form below: we will respond within 24 hours. If required, we can collect the machine from your site. We value your business and will make every effort to contact you within 24 hours.